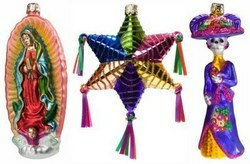 Macy's stores to debut CasaQ's fine glass ornament collection with designs that celebrate the Latino culture. The CasaQ Ornament Collection includes exclusive designs such as Our Lady of Guadalupe, Frida Kahlo, La Catrina, Star Piñata, and many more symbolic treasures that reflect the Latino culture. CasaQ's line of exquisite glass ornaments is a great example of our commitment to bringing in cross-cultural products that reflect the needs of our consumers. 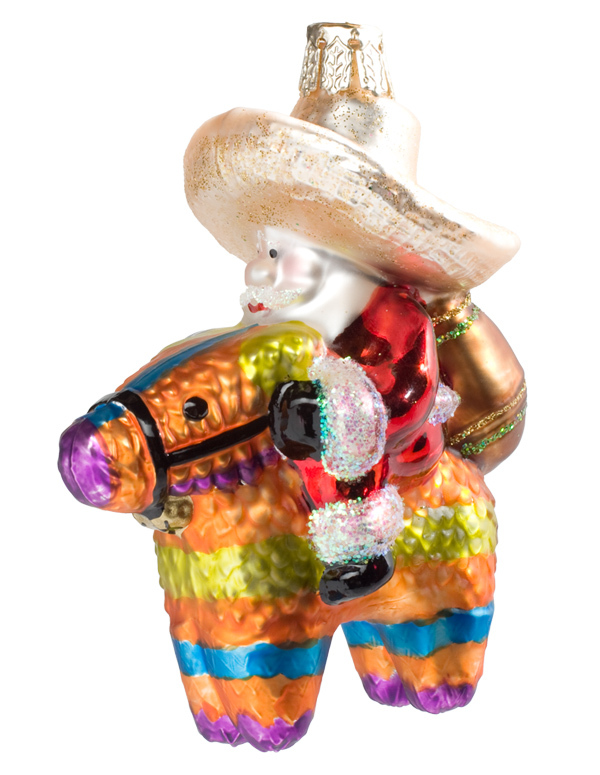 CasaQ, a San Jose-based Hispanic lifestyle company, will debut its exclusive Latin-themed fine glass ornament collection at select Macy's Department Stores this Holiday season. The product line features Our Lady of Guadalupe, Frida Kahlo, La Catrina, Aztec Calendar and other Latin-inspired designs priced from $19 to $30. Each Christmas ornament comes in an individual gift box with a legend card that explains the history or symbolism behind the design. "We are always on the look-out for fresh, interesting products from diverse vendors that sets us apart from our competition," says Shawn Outler, GVP, Multicultural Merchandising and Vendor Development. "CasaQ's line of exquisite glass ornaments is a great example of our commitment to bringing in cross-cultural products that reflect the needs of our consumers." In 2007 when event planner, Darlene Tenes was unable to find culturally significant Christmas decor and gifts, she designed two hand-painted glass ornaments that reflected her Latino roots. They sparked an immediate interest from the Latin GRAMMY® Award producers who called and asked for them to be featured in their official celebrity gift baskets. They had only seen pictures of the designs online, which were not yet available in stores. The ornaments were finished, fedexed and made it into the hands of celebrities just in time for the show. Since then CasaQ Ornaments have received much press because of their intricate and beautiful designs which have been given as gifts at numerous celebrity driven events such as Alma Awards, People en Español's Christmas Party, CBS' A Home for the Holidays TV Special and American Music Awards Gift Suite. CasaQ’s exclusive ornaments can be found at select Macy's Holiday Lane, a paradise of lavishly decorated Christmas trees, thousands of ornaments, and other holiday decor for your home. Store locations and the entire CasaQ Ornament Collection can be seen at http://www.casaqornaments.com. Macy's, the largest retail brand of Macy's, Inc., delivers fashion and affordable luxury to customers at more than 800 locations in 45 states, the District of Columbia, Puerto Rico and Guam. Macy's stores and macys.com offer distinctive assortments including the most desired family of exclusive and fashion brands for him, her and home. Macy's is known for such epic events as Macy's 4th of July Fireworks® and the Macy's Thanksgiving Day Parade®, as well as spectacular fashion shows, culinary events, flower shows and celebrity appearances. Building on a 150-year tradition, Macy's helps strengthen communities by supporting local and national charities that make a difference in the lives of our customers. For Macy's media materials, images and contacts, please visit our online pressroom at http://www.macys.com/pressroom. Frida KahloThe CasaQ Ornament Collection includes exclusive designs such as Our Lady of Guadalupe, La Catrina, Star PiÃ±ata, and many more symbolic treasures that reflect the Hispanic culture. 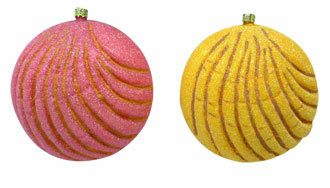 CasaQ Fine Glass OrnamentsCasaQ hand-painted glass ornaments festures designs that celebrate the Latino culture Pan Dulce OrnamentsCasaQ's Pan Dulce or Mexican Sweet Bread ornaments depict a popular bakery item that Mexicans eat during the holidays. 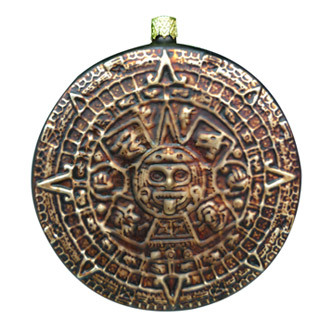 Aztec CalendarCasaQ Ornament Collection includes exclusive designs such as Our Lady of Guadalupe, La Catrina, Star PiÃ±ata, and many more symbolic treasures that reflect the Latino culture. Rudolfo - The Myth. The Legend.CasaQ exclusive ornament designs each come in a luxury gift box with a legend card describing the symbolism or story behind each ornament. 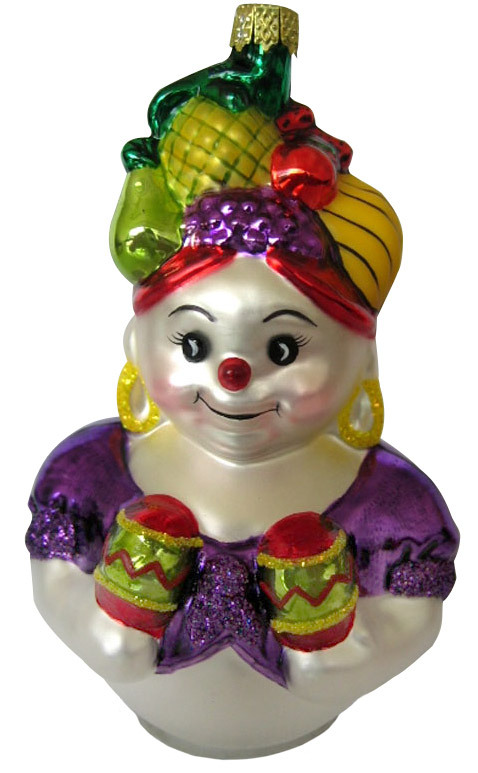 Sancho SnowmanCasaQ's Sancho Snowman (shown) and Pancho Claus were featured in the Latin GRAMMY awards celebrity gift baskets. Carmen the SnowgirlCarmen the snowgirl was a famous Brazilian singer and actress renowned for her colorful attire, shapely curves and samba moves. 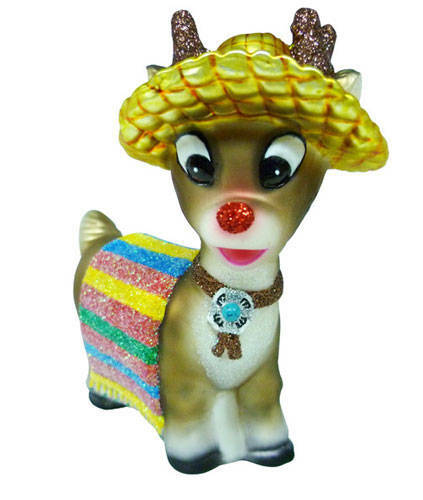 Pancho ClausCasaQ's Pancho Claus (shown) and Sancho Snowman glass ornaments were featured in the Latin GRAMMYÂ® celebrity gift baskets. 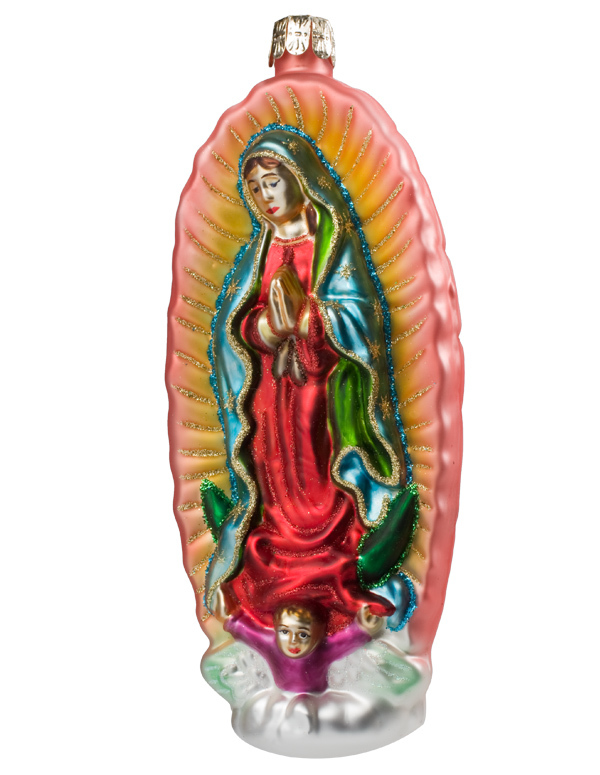 Our Lady of Guadalupe Glass Ornament from CasaQOur Lady of Guadalupe hand-painted glass ornament is one of the most popular and iconic designs in CasaQ's collection.